July | 2012 | Oh, I Juggle! 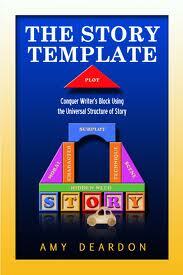 Amy Deardon’s ‘The Story Template’ arrived by courier last evening. I am super thrilled! I have always been fascinated with learning about how things work. The mechanics of machines, food, life, relationships, happiness, anything. I want to break down the processes which go on within. See how they connect. Learn what makes them work together as a whole. The workings of a successful story, I feel no differently about. Even though spontaneous creativity must be valued and cherished, there are certain invisible laws at work which make a story attractive or not. And that is what seems to separate the successful ones from the also rans. Randy Ingermanson’s book with Peter Economy, Fiction Writing for Dummies is a wonderful book which summarises the essentials of fiction writing. I read and reread the book. I was so much in love with the ‘how to’ aspects that it took a fair amount of willpower to actually create a consistent writing schedule and get started with the actual work. Things started looking up when I decided to become an early riser. It has been nearly a month since I began waking up at 4 am. I cannot begin to extol the benefits. As any busy mother can understand, two solid hours of focus time without any other distractions (kids, doorbell, phone) can make so much difference to a cluttered schedule. As I work along any project, I keep looking for new inspiration to motivate me. So, instead of spending time writing, I took a break to look for inspiration ;-). I found Amy’s blog. When I learned that she took apart twenty entertaining modern novels and films to study story progression and determine common pathways, I knew that this lady was one after my own heart. I had to have the book in which she captured that learning. So, here I am, holding it in my hands, excited as a child with an unopened present. Can’t wait to begin reading, doing the exercises and then seeing how I can implement them in the novel, a third of which I have already written. And if indeed storytellers are born, not made, I will just pretend that I am honing the skill I already have. Most of us agree that a lot more can be achieved in a given period of time if we focus on the task at hand rather than try to multitask. This learning was a turning point for me on my road to greater productivity. I am a dreamer. Daydreamer, to be more precise :-). This habit of mine has me drifting away in the middle of many tasks. Life has changed a lot since I started using lists and my trusted timer. I am able to achieve twice the amount I could earlier, even with the distractions of raising two young children who don’t understand the concept of focus. There is a marked difference in the amount of work you can get done when there is a time crunch. Setting a timer to mark time for a specific task works on the same principle. 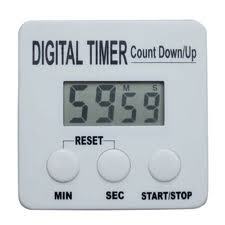 I prefer to use a simple digital timer which is not a part of any other media device. Step 1: Make a list of tasks to be done. You can add any task which takes more than 5 minutes to complete. Step 2: Sort them in the order of priority, putting the most important on the top. Step 3: Estimate the minutes it will take to complete each item on the list and write down that number against it. If the task might take more than 30 minutes, break it down. For example, a 40 minute task can be broken down into two chunks of 20 minutes each. Once the steps above have been completed you can begin with the first on the list and set the timer for the time estimate that you gave. Commit fully to the task at hand and focus on completing it in the fastest and most efficient way possible. Once the alarm on the timer goes off, you can stand back and relax. I sometimes cheat. If the baby is crying and needs attention, I stop the timer and attend to him. Then I resume as soon as I can. But I can vouch that this works much better if you avoid all distractions including attending to phone calls. The benefits of using a timer are many. You can use it on any kind of task, complex, mundane or unpleasant. There is an immediate boost in energy much like the caffeine kick from drinking a strong cup of coffee. Without any side effects. I use my timer even when I am not feeling well and still need to get things done. There is an immediate sense of satisfaction when you strike off item by item on your to do list. My six year old daughter and I play a game. When we have to get the house back in order and put things away before bedtime and neither of us feels like it, we set the timer. I set it for less time than I think it would take. We then race against the clock to win. When the work is done we both sit back and have a good laugh and wait for the timer to ring. It is loads of fun! 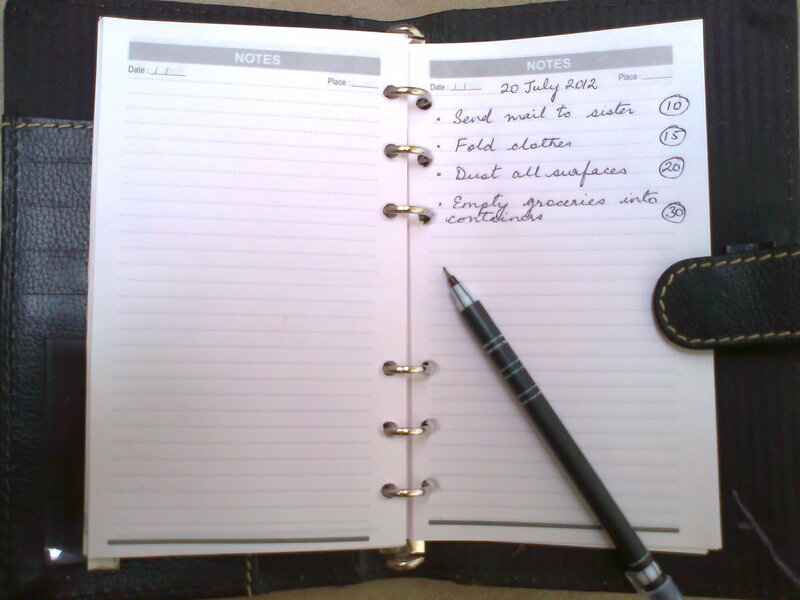 If you have never used a timer to supercharge your to do list, do give it a try. It will cut through the lethargy and rev up your engine. Don’t forget to let me know how it goes.